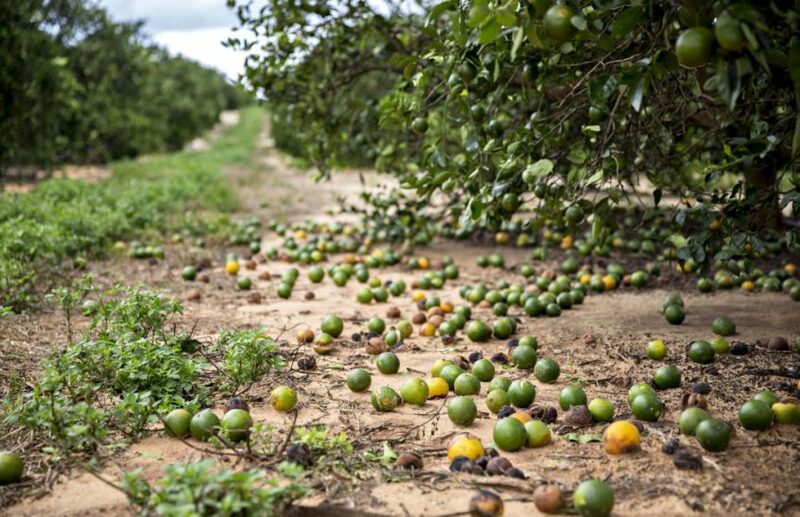 Fallen fruit sits on the ground below orange trees in Frostproof, Florida, after Hurricane Irma. Hurricane Irma devastated the Florida Citrus Belt in 2017. Federal disaster relief funding was approved in early 2018, but many Florida citrus growers have yet to receive those funds. Several industry leaders and groups have been advocating for growers in Tallahassee and Washington, D.C. Now, Florida senators are joining the fight. Senator Ben Albritton, chairman of the Florida Senate Agriculture Committee, and Senator Debbie Mayfield, chairwoman of the Florida Appropriations Subcommittee on Agriculture Environment, and General Government, wrote a letter to U.S. Secretary of Agriculture Sonny Perdue. In the letter, they express their gratitude for Perdue’s hard work so far, but say more work still needs to be done to get growers the funds they were promised. Read the letter here. The letter was hand delivered to Perdue by U.S. Representative Matt Gaetz last month. Florida Citrus Mutual (FCM) also has been a major advocate for growers in the Hurricane Irma recovery process. Mike Sparks, FCM executive vice president and CEO, sent out a release on April 3 to thank senators Albritton and Mayfield for composing the letter for Perdue. Sparks also shared a FAQ sheet for growers on the $340 million state block grant given to the Florida citrus industry following Hurricane Irma.